It opens with a farewell, a goodbye to the past, to painful memories and places that trigger these memories. An American teen is set to explore the Orient and to discover that there’s more to life than movies and videogames. His ordeal, however, turns out to have an ugly twist – bullying. This, to me, is a very good call by the movie makers, since bullying is one of the most tragic and persistent problems in modern schools and needs special attention. The kid learns one life lesson after another, but it all boils down to the old as the world abuse of power, skill and an entrusted position. Pretty meat-and-potato, and not very innovative, however the real kick is not so much in the otherwise tedious plot – it’s literally in… the kick. Most kung fu action movies tend to be nothing else but study guides for both dummies and professionals alike, under the pretense of promoting character and values. Children of today usually pick that up really quickly and know to tell the difference between a genuine role model and a phony power figure with overblown muscles. In other words, can’t fool the kids. 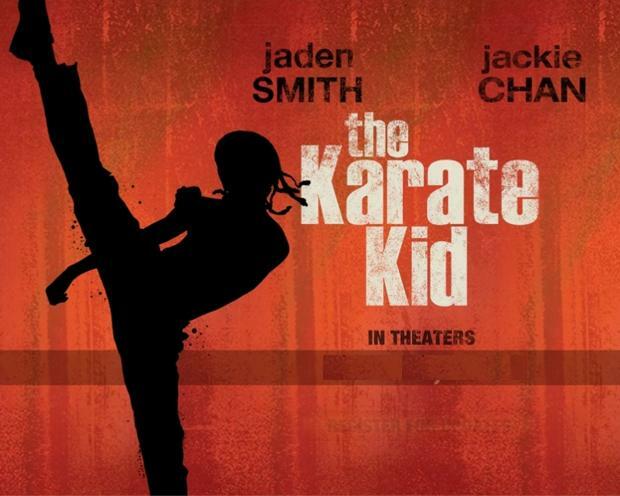 What The Karate Kid of 2010 does well is showing the beauty of hard work and perseverance, the rewards of patience and adherence to long-term journeys to perfection over quick fixes, something the new generation of teens won’t take from their parents, teachers and caretakers. They need to hear it from someone on their own level, someone who speaks their language and can stir them in the right direction. Youth nowadays is generally overexposed to violence, and it really does feel like a gulp of fresh air to have someone walk in with a statement that true power is not in the count of one’s victims, but in the integrity to keep away from fights and earn respect by turning one’s weakness into strength in an honest competition. There’s enough smiles and enough tears in this movie. It reads as an open book and everybody is welcome to be a part of it, to find something to identify oneself with. It is not a typical martial arts manual going from one stance to another in the matter of split seconds and leaving you there watch and drool because you can only dream of making at least one move with that much effectiveness and grace, but rather is a dramatic, quick and at the same time exceptionally entertaining presentation of a hidden potential within a human. The Karate Kid 2010 doesn’t teach children how to fight. It teaches them how to stand up to painful and often unpleasant life experiences. It also teaches them how to see when looking, and to hear when listening.